Games, Aesthetics and Affect | Callie Co. I could spend this whole post talking about the legitimacy of games as art, but the key issue that would arise is one of definition, not just of the word art, but also of the word game. One of the most commonly cited criticisms of this idea is one put forward by film critic, Roger Ebert. He puts forward a double edged argument that by the pure nature of a game's ability to both be interacted with and the for the player to win, this he states moves against the very definition of art. While games which focus more on being art pieces, with narratives that don't involve much if any interaction and no real win condition (an example I would like to include here is Firewatch) he believes this very change no longer allows the piece to be defined as art (Ebert, 2010). But instead of looking at this in a complex series of definitions, let's look at a definition which is often taught to children. Art is something that has the ability to make you feel. This post is, after all, to talk about aesthetics and affect on the engager, and there is no doubt that games most definitely fit this definition. Now you are going to have to bear with me, as I'm going to be covering a bunch of ideas and topic I have covered a couple of times on this blog. Let's first look at a central idea which I think is an amplifying force for the effect on the players of games, that of a personal attachment to the story. Unlike other mediums that may see a heavy use of aesthetic and affect, games focus on interaction. 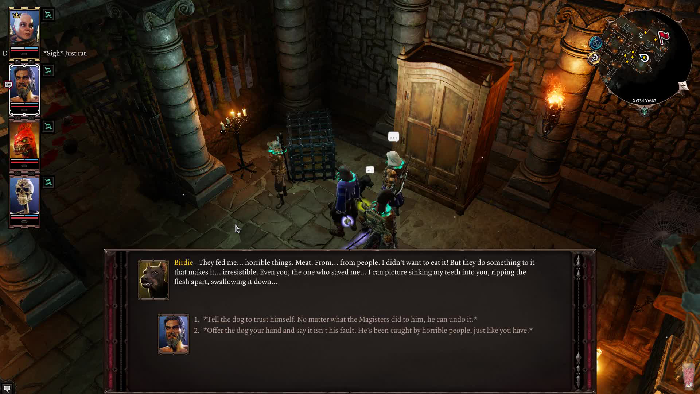 This interaction creates a bond between the player and character they control, a bond which has been shown to both increase the believability and immersion, as well as create empathy between the players. Mark Davis (1994) has recorded a large chance of the player empathising with the main character. While Gee (2007) has shown that the very nature of gaming enforcing the creator to build a world outside of the narrow bands that a traditional medium would have to build creates a belief in the player that they exist within a living and breathing world instead of small created section of it. 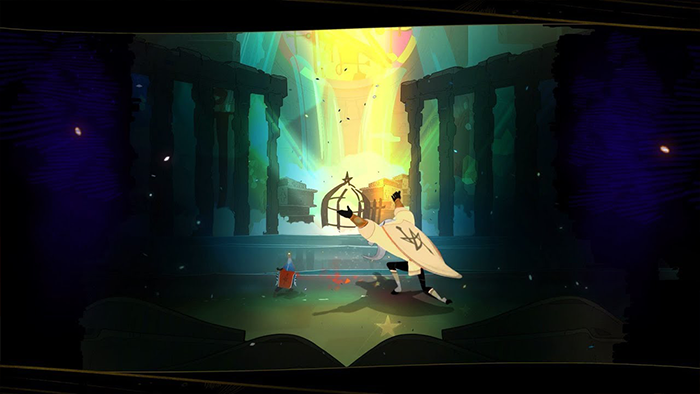 Both of these create a stronger bond between the player and the game world, and with this belief emotional bonds between the player and the characters involved are strengthened. There are a huge number of games I could give examples of that mimic affect that takes place in other mediums, things like the narrative of Firewatch, the tragedy of Mass Effect, but these are emotional effects that I'm sure you have experienced. Instead I would like to focus on something that games do that are fundamentally different. Games provide a unique experience where the player is forced to make the choices, rather than watching a beloved character make a choice in a movie. It is one thing to see someone make a mistake and get punished for it, it is quite another thing to be forced to make a choice. Take for example Divinity: Original Sin 2, a complex game that forces a lot of difficult decisions on you. This particular section I would like to bring up finds you working through an enemies stronghold where you are constantly attacked by dogs. Eventually you find a dog who is friendly, and he tells you about something he has been fed which he saw drive other dogs mad. He begs you to take his life, he doesn't want to bite, he wants to be a good dog. This leaves you with three choices: You can put him out of his misery, you can refuse and be forced to kill him in combat, or you can refuse and leave him to his madness. This choice is made worse by the fact that you, the player needs to make this choice through an avatar you have created. It's not a choice you feel sorry about a character you empathise with, it's one that you the player had to chose. This, while certainly a powerful emotional link, is a one of encounter. It doesn't really take advantage of the powerful empathy that you can create with other characters within the narrative. There is however a perfect example of this in another game, Pyre. 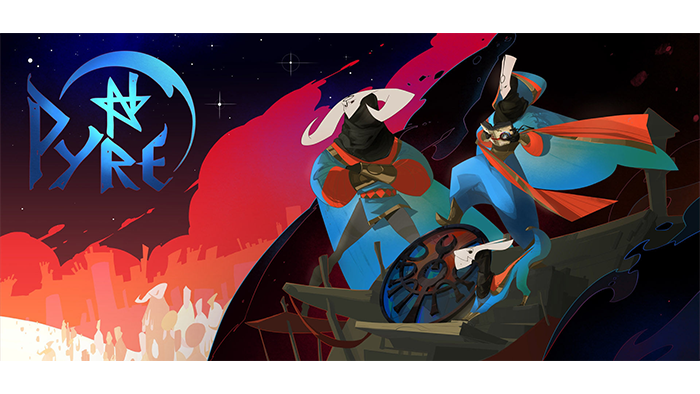 Pyre is an… interesting game. If I was to reduce this complex experience I would call it a social fantasy basketball game, but any description I give here will belittle the actual experience, and so if you have any intention of playing it, please don't go ahead. The core Pyre story involves you leading a group of exiles through what is essentially a land set up as a jail for the worst offenders of the commonwealth. These exiles have discovered a competition that for every tournament win allows one member of the team a chance to return from their banishment. Already there is a complex emotional and moral choice available during each ritual, the choice you face is one of do you save your favourite characters, and never see them again or selfishly hold on to them. Every loop of this tournament builds a stronger empathetic connection with the characters, as they reveal their hopes and dreams to you, making every choice harder. The story double downs on this by letting you know early on there are not enough loops to free every member of your team, and often updates you with how many times you can do this again. This ultimately leaves you with the last choice, which is one you have probably made in your head well before you win the tournament. Since this is the last loop, and you are no longer needed to help the game offers you the option to leave yourself, instantly adding a moral elemental to the emotional choice you already have to make. The player is given a moment to come to terms with the option, and it looks like it's the end of the game. But the game has other plans, and after you choose who you wish to free it gives you a second option. An antagonist approaches you and begs for his freedom. It is revealed that at the last tournament loop he was given his freedom, but another pushed him aside at the last minute and took it leaving him banished for dozens of years. This moral choice pushes against the emotional and empathetic choice, creating a turmoil within the player. If for some reason you decided not to chose the antagonist, shortly after you make your choice he takes his own life in front of you, not willing to live in this exile any longer. While these two set ups may have been heart wrenching in a traditional written or performed narrative, the forcing of the player to make this choice, combined with the empathy created between the player and the game world is a powerful effect which only exists within this medium. Games have the power to change, to make players feel, to create something new and unique as a growing artful, a power which I honestly feel is only starting to be explored properly now. Ebert, R. (2010). Video games can never be art. Chicago Sun-Times.